We're losing the fight against cancer — lung cancer, that is. According to the World Health Organization, more people die of lung cancer than of breast, colon, prostate, and pancreatic cancer combined. And many of them have never smoked. What's more, while the rate for lung cancer has dropped 21% in men, it's risen a whopping 116% among women. What's going on? Air pollution, for one thing, and second-hand smoke for another. There's even a phenomenon called third-hand smoke — the smoke that attaches itself to drapes, clothing, and carpeting that I've talked about before. If you don't smoke, but someone in your home or workplace does, you may be exposed to more smoke residues than if you smoked an occasional cigarette. We don’t know why there’s a sudden surge in lung cancer among women, but one reason may be that more women are smoking now than in the past. Also, radon gas may be an additional factor. This naturally occurring radioactive gas is the next biggest cause of lung cancer after smoking. Women exposed to radon in the home could be at an increased risk for lung cancer. Then there is a relationship between lung cancer and hormones. Women with estrogen receptor negative breast cancer may be at a higher risk, as well. So many other factors can cause lung cancer, yet there is still a stigma around the disease that leads to lower levels of awareness and advocacy. It's not as popular to fight for lung cancer as it is for breast cancer. 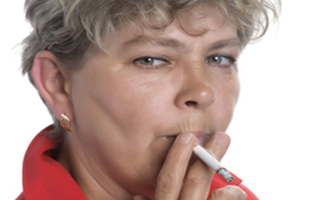 But one in five women diagnosed with lung cancer has never smoked, and that number is going up. There does seem to be a genetic factor, as some nonsmokers seem highly susceptible to the disease, while some lifetime smokers never develop it. For smokers and nonsmokers alike, lung cancer is deadly. In fact, the five-year survival rate is only 16%. And more than half of patients die within a year of being diagnosed. Certainly, being a nonsmoker and avoiding smoke in general is a huge step toward prevention, but it's important to avoid other risk factors as well whenever possible. In addition to genetics, exposure to toxins like arsenic, nickel, and hazardous chemicals can cause lung cancer. Many of them can be found in environmental pollutants. This is just one more reason why we all need an effective way to constantly detoxify heavy metals and other toxins from our bodies. PectaSol Detox Formula and Detox Complete keep these toxins from accumulating in your bloodstream and pull them out of tissues where they're stored. Taking these supplements won't guarantee a life free of lung cancer. But they are your best protection against many of the toxins that we know can cause this deadly disease. And since modern medicine doesn't offer anything for prevention, they are your best option for staying healthy and avoiding cancer. U.S. News & World Report - Health, 11/19/2013.